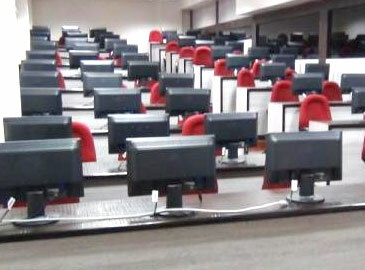 MITSOM College houses a centrally air-conditioned computer laboratory with 150 Intel i3/i5 processor dedicated workstations networked with two servers. Students have a 24-hour free Internet access. In addition to this, the e-campus at MIT Pune, with 800 computers, is directly linked with the MITSOM College network with a dedicated lease line internet connection with a bandwidth of 12 MBPS. MITSOM College has two dedicated servers loaded with various softwares like Oracle, Visual Studio, Advanced Java, Page Maker, Corel Draw, Linux etc which are accessible from all work stations. Qualified lab assistants are readily available to guide and instruct students. 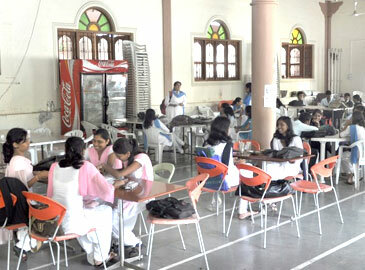 A full-fledged cafeteria is available at the campus. In addition, a relaxation room is also provided to the students within the MITSOM College building itself where tea, coffee, snacks, soft drinks etc are available. Multimedia facilities are also made available in the relaxation room. Provision of news channels and educational and documentary films facilitate students to relax and garner some useful information during scheduled breaks. 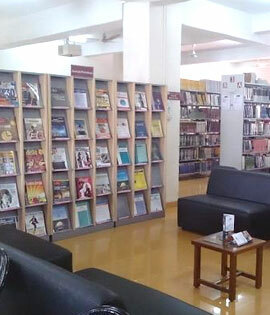 MITSOM College Library has a collection of 7950 books of BBA, BBA (CA), BBA (IB) & MCA Commerce. It subscribes to over 43 National and International journals/magazines. The Library also has collection of CD’s, DVD’s, Audio/Video Cassettes. MITSOM college students also have an access of MITSOM Library, MITSOB Library, MACS College Library, Pune University’s Jaykar Library Pune. Library is fully computerized & automated. It uses software called “SLIM 21st” for various Library related work. The software provides OPAC facility which provides full information regarding books issued/returned/journals/CDs/DVDs etc. Library provides Internet Access and Online Database such as EBSCO during library hours. Library is member of Information Library Network and having membership of N-List programme which contains e-resources over 6000 e-journals and 97,000 e-books. Monday to Friday - 8.00 a.m. to 8.00 p.m.
Saturday - 8.00 a.m. to 8.00 p.m.
Mr.Sudam S.Bobade - Library Asst.